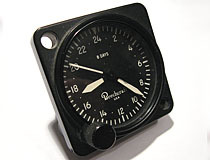 The A-11 is one of the most common styles of aircraft clock in the world, and the clock pictured here, manufactured by Wakmann, is a fairly representative example. A-11 form factor clocks are basic, time only devices with three hands and a winding and setting stem located in the lower corner of the face. A threaded plug on the back of the case can be removed to gain access to the regulator lever without dismantling the entire clock. Most have a standard 12 hour dial, though 24 hour dials, such as shown here, are also sometimes used. 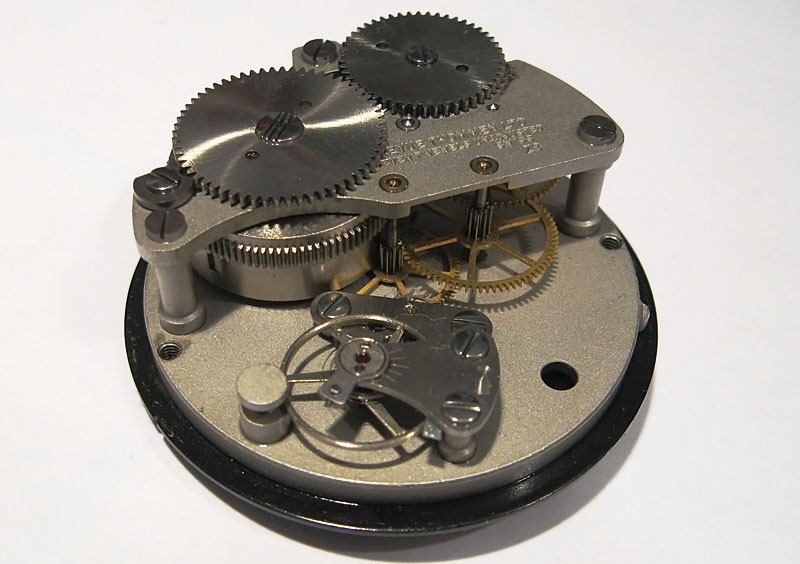 This clock contains a 7 jewel movement manufactured by Revue Thommen, a newer movement that saw use in many different models of aircraft clocks. The example shown here was manufactured in October of 1977. Wakmann A-11 aircraft clock, equipped with a 24 hour dial. The movement for this clock is a seven jewel mechanisim manufactured by Revue Thommen.